Mr. LaFarge lives in a different world than you or I. Where Pokey lives, skyscrapers are a mere forty stories, most people work jobs with their hands, and the direction you travel mostly depends on which way the river flows or the breeze blows. 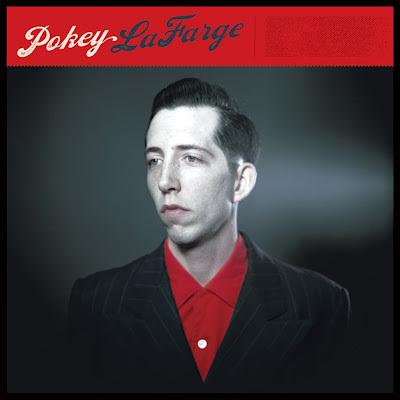 For someone to make the type of music Pokey LaFarge makes and to do so in a profitable way in today's times is nothing short of a miracle. The last song featuring a cornet to make it into any type of sales chart probably was recorded more than fifty years ago. Despite all of this, Pokey and his band move forward making great music that may sound dated but the great songwriting and energy put into it ensures that it is timeless. "Central Time"is the first single from his excellent self-titled release, out now via Third Man Records.